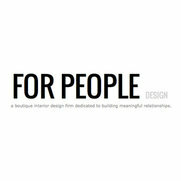 FOR PEOPLE design is a full service interior design studio specializing in residential, hospitality, retail and commercial interior design and an array of home good products. We believes in forging meaningful relationships with all their clientele. Their goal is to create a home that reflects the client’s needs and personality through a unique and personal process. 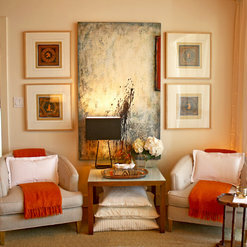 For People deftly blends old and new with a west coast influence to produce chic, eclectic and comfortable interiors. Amanda Malson of For People Design has worked as an interior designer within the high-end residential and hospitality design fields in both San Francisco and Los Angeles for the last eleven years. Her experience has included overseeing the design and management of several multimillion-dollar projects and a position at the Los Angeles based design firm KWID where she gained valuable boutique hotel experience. Her signature style is based upon traditional classic principles mixed with a sixties and seventies modern era aesthetic pulled together by soft contrasting color palettes. Amanda Malson was great to work with! 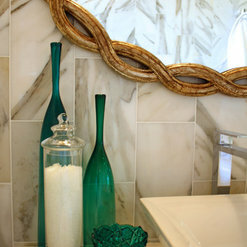 We used her online design service for our master bathroom. 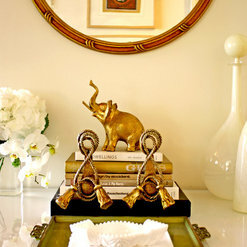 She worked very hard to create a space that we would love. I was very impressed by the amount of work that she put into our space. The online design services are a great bargain! The results are beautiful! Commented: Simple beautiful eleganceThey are separate! Commented: PELASE! where does one buy plastic or acrylic trays like this?These are from Ikea! Try the container store for equivalent!! Commented: Where's the headboard from please? !It was custom designed and made. Thanks for your questions! !